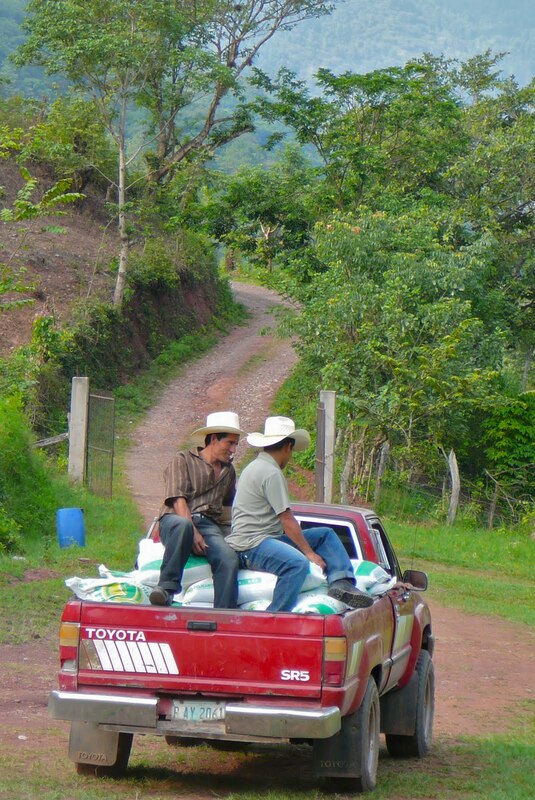 It's quite a sight to watch a pickup, loaded to the brim with bags of fertilizer and seeds and topped off with Honduran farmers, rumble its way up the dirt road, away from the warehouse. The vibrant colors in the valley where our microloan operations take place make for an eye-catching snapshot, but the big picture is what makes the view really magnificent. Understanding the effort that went in to make the whole operation possible and more importantly, what the load in the back of that truck can mean to the men, women and children taking it home, gives a profound and even touching significance to the scene, that an image alone cannot capture. This is "loan day." But before we get too caught up in the moment, let's backtrack a bit and take a brief look at the trail that led to today. It's hard to pick out the true origin of that road. You could start seven days ago, when 100,000 pounds of fertilizer rolled up by the truckload and we unloaded it bag by bag until it was too dark to see, and then started again when the sun crept over the mountains the next morning. Or you could trace the path back a few weeks to the days spent assessing ­250 loan applications and approving 150 farmers for microloans ranging from a single bag to 1400 pounds of fertilizer. Or a month earlier when Gilberto and Martir visited 24 aldeas (villages) surrounding La Unión to spread the word about UMF and hand out the applications. Or even to the summer of 2008 when the very concept of UMF began to take shape. 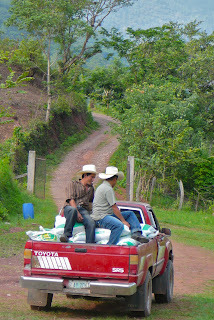 It's all come to a head today, when the farmers come by truck, horse and donkey to haul away their loans of fertilizer and seeds. But don't get me wrong. This is not the climax. There's no doubt it's a peak for the organization, but this loan cycle was twice as big as the last and the next could easily be twice as big again. Also, for the clients, the farmers receiving the loans, this is certainly not the high point -- it's the very beginning. The hope is that the freedom from intermediaries, who have monopolized these types of loans in the past, will lead to a long-term change in the lives of our clients. Between increased savings through better rates, increased production through technical training, and increased selling prices through access to international markets, we can begin to break the cycle of poverty that's been spinning in this region for decades. The men and women riding away in the beds of their pickups might not have such grand schemes in mind, but we can hope that in the years to come they'll start to see the impact that I'm imagining as I watch them go. That's a very unusual business school internship, but I find it interesting. Good thing you shared your experiences with us. Moving Forward: Paso a Paso.